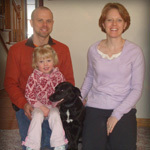 The individualized training from the trainer to the dog is the “Connection” where the dog is locked into thinking mode. Once a dog begins to use that part of the brain its posture around you as well as others will be more consistent and stable. Adjustments will begin at home and continue to your everyday. Having a dog that can be a suitable social animal in a crowd is respected. Whether it is going to field events for the kids or walking down a street to window shop your companion will be there ready and waiting with a connection that is irreplaceable. This is taught extensively to ensure proper training and handling skills with the owner to the dog. Other languages are available for command engagements other than English including German, French, & Spanish. In shaping attention, positioning and other obedience commands this is the platform and stamp for furthering training. All exercises are committed within a leash distance or on a leash. Commands are conditioned in most environments. I first met Sondra a few months ago to start working with my 9.5 year old 100# male German Shepherd, General. I had adopted him as an adult and shortly thereafter started having some issues with dog aggression. She and Diane came to my house and reassured me that even at his age we could change his wayward behavior. Walking him in my neighborhood used to fill me with dread. I constantly worried about passing other dogs as I struggled to control him. Sondra’s knowledge and expertise have made a huge difference in my life. She has been encouraging and patient with us both. I am truly amazed at the difference in General’s behavior especially after he was used to having it HIS way for all these years. Now, I actually enjoy walking him without the fear of being dragged on the ground–and yes, it happened more than once. It has greatly improved our relationship. I highly recommend her training program and look forward to moving on to advanced training. So you can teach an old dog new tricks. Our first dog, Brindahl, bit people. The trainer we had worked with at the time claimed fear aggression. Sadly, Brindahl was put to sleep after a frightening attack on our 3 year old. As a family, we began fearing all dogs had the potential to harm us. Several months later we adopted Pretzel, a one year old dachshund/lab mix. We quickly realized that while passive and “good with children”, Pretzel was also a fearful dog. She didn’t like the coat hanging from the banister, moving cars, strange noises, and other dogs. She wanted to be friendly, but cowered when people reached down to pet her. Within 10 minutes of meeting us and Pretzel, Sondra had a clear plan for our family. 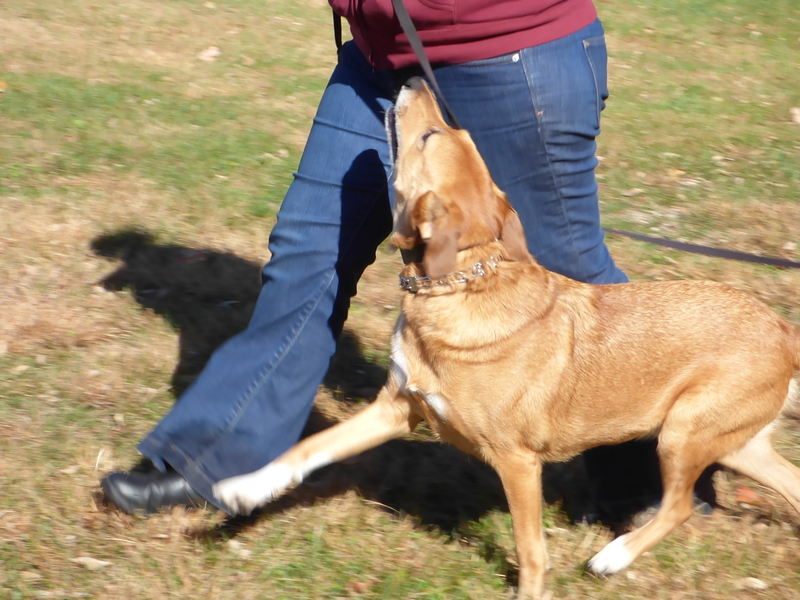 We thought obedience training would boost Pretzel’s confidence, but Sondra educated us about neutralization and we made that our first goal. We built Pretzel’s confidence with pack calls, controlled socialization, and obstacles. Pretzel’s personality flourished! She learned to trust that her family would not put her in dangerous situations. She learned to enjoy an obstacle challenge. She learned people are interesting and will not hurt her. The best part of neutralization was how it helped us move past our insecurity and fear about dogs. Our whole family – including Pretzel – has been “neutralized”! Working with Sondra has been the most important investment we have made in healing our family. After a year and a half of trying to get my dog Ace under control, I was at my wits end and my house was in utter chaos. My friends and family called Ace the crazy dog, my vet put him on doggie downers and two other trainers couldn’t deal with him – one wouldn’t even return my calls. It was so bad I was ready to rehome Ace. My 10-year-old son, Anthony, convinced me to give Ace another chance. Two days later, I read an article about Sondra Rolison. She came to my house and evaluated Ace and immediately began to wean Ace off the meds. Sondra taught him how to deal with his natural instincts and to be obedient. Sondra also taught Anthony and I how handle him. She restored peace and balance to our home. Now, we can take Ace everywhere we go with ease and confidence. Ace is truly become a beloved member of our family. Sondra was the best phone call I ever made. Mike & Tina Pastor of Upper Black Eddy, PA adopted Smokey in Feb. 2009. The good samaritans who found him were co-workers of Tina’s. Although they already had two older dogs, and really hadn’t planned on adopting another dog much less a puppy, they were touched by his story and his will to live, not to mention his great personality. At their first meeting, it was clear that Smokey and Mike would be BFFs. Soon after bringing Smokey home, Mike & Tina were reminded of how much work it is to raise and train a puppy! He was a good boy and easily made the transition to living with two older dogs but definitely wanted to be in charge. This led to a fair amount of tension. But with the help of their trainer, Sondra Rolison, and a lot of hard work, they are one big happy family! Thank you!